Casting Call Club : Doki Doki Literature Club - Tumblr Ask Blog ! Casting Call for Doki Doki Literature Club - Tumblr Ask Blog ! Doki Doki Literature Club - Tumblr Ask Blog ! About Doki Doki Literature Club - Tumblr Ask Blog ! This project is a Tumblr Ask/Request blog that can be found here. 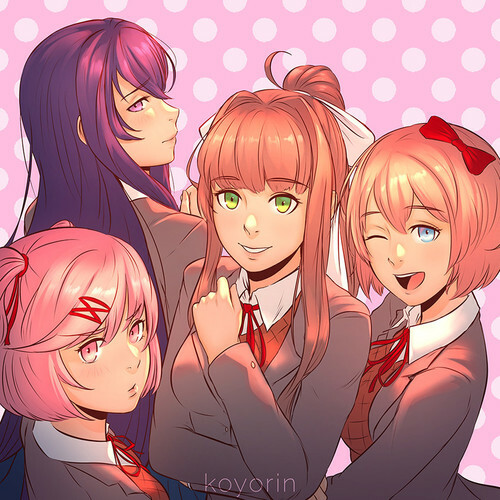 This blog is purely for fun, and meant to explore each voice actors creativity when talking about the Doki Doki Literature Club! franchise. This is my,, first time,,, making something so please let me know if I should switch things up to make things easier, if you want the male protagonist, etc. I made sure not to include spoilers in each character description just in case people who don't know about this game stumble upon this and accidentally get triggered. BECAUSE THIS GAME IS DEFINITELY NOT SUITED FOR CHILDREN OR SENSITIVE PEOPLE. I really recommend, however, to be familiar with the franchise before auditioning. Everything will be organized on Discord, so please have a discord, or make one if you don't have one. Please be respectful of everyone here, and try to have a fun time !!! PLEASE AUDITION FOR SCRIPTWRITING AND EDITORS IF YOU CAN! Yuri is one of the four main characters in the game. Yuri is shown to express maturity, sophistication, and beautiful poetry. Yuri is portrayed throughout the majority of the game as being generous, polite, and passionate about topics she is interested in. She is the "shrinking violet," a term used to describe a character who prefers to blend in with the scenery than to attract unwanted attention, out of the club members because of her constant apologetic nature and shyness to discussions beyond her category of interest. 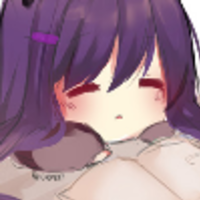 Would prefer to have Yuri to have a more mature voice, but since there are no files of Yuri's voice, I will be choosing on what I deem fits her best. Isn't it amazing how a writer can so deliberately take advantage of your own lack of imagination to completely throw you for a loop? It sounds strange, but you wouldn't understand if you've never seen how beautiful they can be. Sayori is the protagonist's childhood friend and vice-president of the literature club in Act 1. She is portrayed as a talkative person, being very bubbly and kinda and the archetype of a Genki Girl. She is very clumsy and notorious for finding ways to accidentally hurt herself or drop things. She is usually the only character, other than the protagonist, capable of breaking up arguments, and is paramount to keeping a relaxing atmosphere. Sayori tries her best to keep everyone happy, but dislikes attention directed at her well-being because she feels unworthy of anything that others have to offer her. I would prefer to have Sayori have a not too mature, but not too girly voice. But since there aren't any clips of her speaking, I will choose based on what I think fits her most. Maybe we can all try something new! Natsuki is a brash, blunt, seemingly arrogant girl with a cute, softer interior as a result of insecurity. 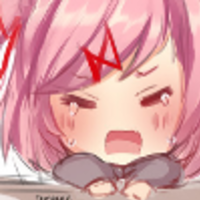 While she is impulsive and can speak without thinking, Natsuki truly cares about her friends and, even when she has obvious anger issues, doesn't enjoy fights or arguments with people. Her cute interior also involves a love of manga, particularly those in the slice-of-life genre, and baking. Natsuki is most likely to have a normal female voice but more on the cute and girly side, but I will choose based on what I think fits her most. So... you need to stop being dumb and give yourself more credit! SINCE THIS IS A VOICE ACTING BLOG, PLEASE WRITE YOUR SCRIPT KNOWING THAT IT SHOULD ONLY INCLUDE DIALOGUE OR ANY NOISES THAT PERTAINS TO THE SCRIPT. If you cannot send it through either of these things, PLEASE message me here and we will work something out. 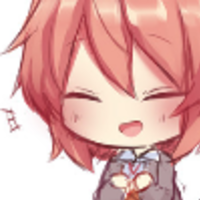 Write a situation between Sayori and MC doing something friendly and/or romantic (you choose), basically a fluffy script. Write any conflict between Natsuki and Yuri, a more angsty script. AUDIO EDITORS -- Link me with AT LEAST two recent files of audio editing, be it voice acting or any thing of audio editing, what you use to edit, and what you will not be able to do. VIDEO EDITORS -- Link me with AT LEAST two recent files of video editing, be it voice acting or any other video editing, what you use to edit, and what you will not be able to do. It will mostly be sprite edits and comic dubs.